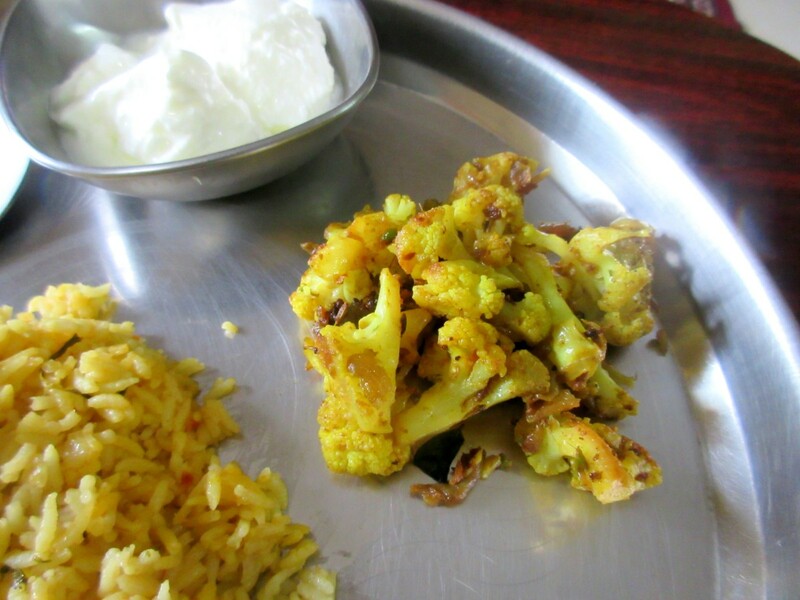 For the Cooking from Cookbook this week, its a simple delicious dry saute with Cauliflower. 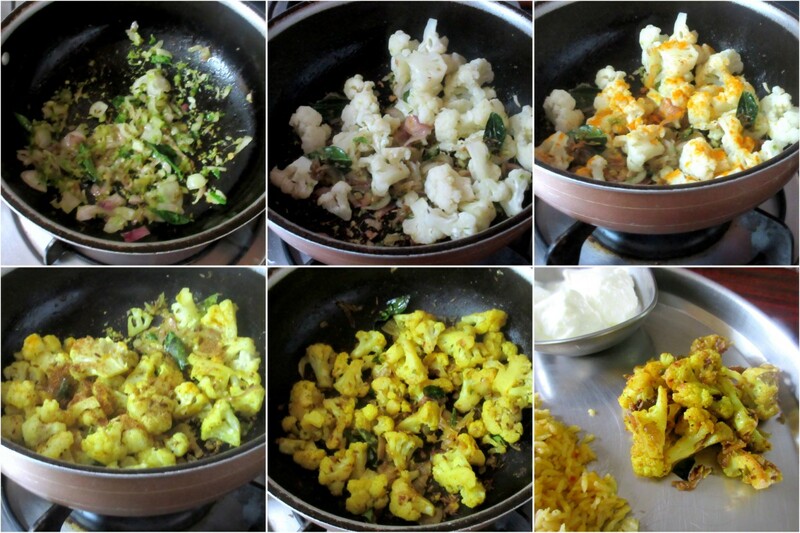 Every time in winter season, I look forward to cooking with the fresh cauliflower. However this time, we are yet to get our share of fresh cauliflower. Still we couldn’t let go of the flower when we saw it in the stall. When it was raining continuously for about 10 days, we were short of ideas along with short of vegetables. It was the weekend, and it was supposed to be chicken for the rest. We decided to make a simple Vegetable Pulao that could be paired with both chicken and the cauliflower. 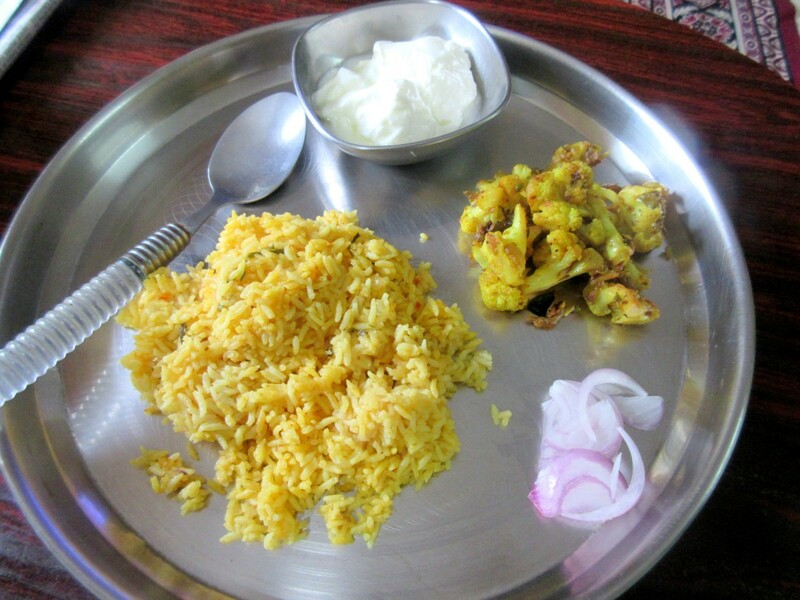 I will get to the vegetable pulao sometime, it was quite simple yet it turned out very good. And I especially liked it a lot with the roasted cumin sauteed cualiflower. Wash and soak the cauliflower florets in hot water for 10 mins. Grind the green chilies along with ginger to a coarse paste. Heat a non stick pan with oil, add the curry leaves, green chilies paste, then add the onions. Saute till onion turns colour. Then add the cauliflower florets. Mix well. Add turmeric powder, salt. Simmer with lid covered. Finally sprinkle pepper powder. Cook till tender. It will take about 10 – 15 mins of cooking time. This goes for the November Week 4, Cooking from Cookbook Challenge Group. That is such a simple and delicious side dish. Delicious….Your cauliflower looks so well done, Valli.